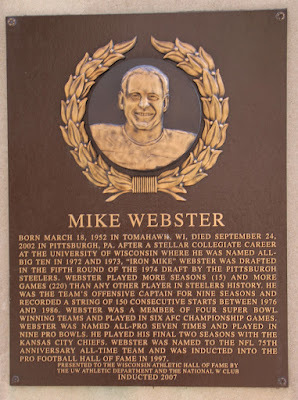 Born March 18, 1952 in Tomahawk, WI, died September 24, 2002 in Pittsburgh, PA. After a stellar collegiate career at the University of Wisconsin where he was named All-Big Ten in 1972 and 1973, "Iron Mike" Webster was drafted in the fifth round of the 1974 draft by the Pittsburgh Steelers. Webster played more seasons (15) and more games (220) than any other player in Steelers history. He was the team's offensive captain for nine seasons and recorded a string of 150 consecutive starts between 1976 and 1986. Webster was a member of four Super Bowl winning teams and played in six AFC Championship Games. Webster was named All-Pro seven times and played in nine Pro Bowls. He played his final two seasons with the Kansas City Chiefs. 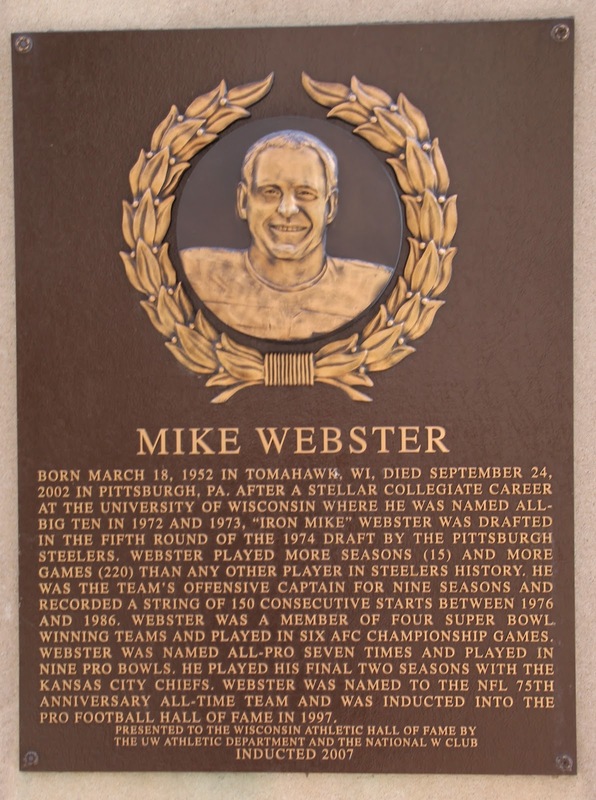 Webster was named to the NFL 75th Anniversary All-Time Team and was inducted into the Pro Football Hall of Fame in 1997.